In the list of top 10 worst ways to build community for you blog, not blogging regularly (e.g. in over a month) is probably ranked number one. Talk about sending the wrong message. 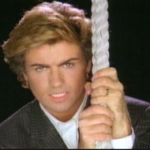 It’s like a careless whisper. 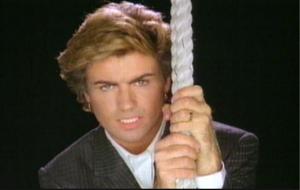 But instead of George Michael lamenting the pain and shame (you’re welcome 1984), it’s me. Lil’ old me. I was blogging along on a somewhat regular basis and then – wham! (pun sooo intended) I let life get in the way. Talk about a blogging faux pas. And I’ve done this before, but at least I gave forewarning. I should know better. So um…now that you’re gone, dear blog reader…I’m going to work my darn hardest to get you back. If you’re wondering at all what I’ve been up to, well there was this conference I helped organize. I did a lot of blogging over there. Oh and my job has really ramped up. We’ve been doing a lot of fun things with social media and community building around HR hot topics. That’s kept me busy. I know you most likely don’t care but I feel the need to justify my lack of focus in this particular corner of my online life. Damn, it shouldn’t have happened. But it did. * Awesome George Michael image sourced via metacafe.com. Yay! missed your words…but following right along! Loved all your Canada day pics!! Aw, thanks Adrienne! It’s good to be back! Glad to see you are back on, missed you.